Frequently asked questions, gathered from our FAFSA webinars…. If a father is not a US citizen but has a Soc. Sec. #, can they student use that # to fill out a FAFSA? If starting a FAFSA for a second child entering college, do you start a new FAFSA or log in as a returning user? Complete the existing student FAFSA first. Once you have submitted you will see a link that will allow you to transfer the parent’s information to the 2nd FAFSA. If you never filed taxes jointly and had no formal agreement then I would say never married. If you filed taxes jointly while together then I would say divorced and month and year of split. If divorced, but just remarried do I enter my husband’s information as well? New spouse/step parent, yes, you disclose assets. If just married in 2017 no need to disclose income for 2016. Can you enter more than one parent email address? If you are applying to schools in Canada – do you list them on FAFSA? “What federal student aid can I receive for my degree at an international school? At many schools around the world, you can receive a federal student loan from the William D. Ford Federal Direct Loan (Direct Loan) Program. (Find out which international schools participate in the Direct Loan Program.) You may receive a Direct Subsidized Loan or Direct Unsubsidized Loan for your undergraduate education. Direct Unsubsidized Loans and Direct PLUS Loans are available to graduate students. Your parent also might be able to borrow on your behalf; he or she should ask about getting a Direct PLUS Loan for parents. International schools do not participate in the U.S. Department of Education’s grant programs, so you will not be able to obtain a Federal Pell Grant to get your degree at an international school. Does the FAFSA application have to be re-submitted every year? Is the order for state grants is only relevant to your home state schools? Will the form accept our current High School…it is an American Curriculum, at an International School in Shanghai, China. But we are American citizens, paying taxes in US, employed by American firm, with a residence for 25 years maintained in US. Enter the school name and see if it is in the system. If it isn’t see if you can enter the HS without confirming. What if a student states they will live on campus and later moves off campus which is done during the same year the FAFSA is for? Make a correction to the FAFSA and let the financial aid office at the school know the student moved off campus. Should I be entering my name on FAFSA exactly as it is listed with my tax returns? My taxes list only my maiden name although on my social security card it is my maiden name – married name (with a hyphen). The FSA ID will match up with SS. If you connect with the DRT you enter your name as it is on your tax return. If we manually enter, rather than using the DRT, do we have to still enter our address the same as on our tax return, for example abbreviating St vs. spelling it out? The exact spelling on tax return only matters when using the DRT. Just W2 income? If one parent is self-employed and doesn’t receive any W2 income, should I just enter -0-? Do not put 1099 income where it asks for W2. The 1099 will show up on the tax return and AGI. If you have a W2 and a 1099 for one parent, I’m assuming you add the 2, correct? No, just put W2 where asked. The 1099 income will show up on the tax return and AGI. Where do you find your asset protection allowance? What if assets are in both parents name? How do you break them up? If you are married you just add them together since it is total assets. If you’re self-employed AND have a W-2 – do you put your net self employment income along with the W2 income? No, just add W2 where asked. The rest of your income will show up in AGI. If a student’s father died 12 years ago and the student receives social security benefit does that need to be indicated. Do all 529’s owned by parent have to be identified (even if beneficiary is not going to college next year)? Do you list for more then one child if you have 529s for both? ALL 529 accounts are considered parental assets and must be reported on FAFSA, even if the 529s may be earmarked for other children. I have a second home, for asset # can I list it as the net I would realize when I sell it, or just the sales value minus mortgage – which is quite less. Is the ROTH IRA considered an asset that needs to be reported on FAFSA? FAFSA does not require that retirement accounts be reported and counted as assets – this includes ROTH IRAs, SEPs, 401(k), Individual IRAs, 403(b), pension, SIMPLE, Keogh and certain annuities. My husband has a joint checking account with his mother who is elderly and needs help. The money in that account is not his, do we have to report that? If his name is listed as a joint owner, he will have to report that money as an asset on FAFSA. As an alternative, he can be taken off as a joint owner and be added as an authorized signer on the account. What happens if the non-custodial parent makes tuition payment directly to the school and not to parent? It will be counted as income to the student the following year. No, if you are taking distributions from your 401K or SEP retirement accounts that is included on your tax return as taxed income, except for ROTH plans. How important are these numbers in terms of “on the day you file the FAFSA”? I started it last week and used numbers as of the day I completed it, but didn’t send until I went through this part of the seminar. Do I now have to go back and readjust everything? How would they even know? If you are only off by a few dollars you are OK. If you had a large increase to your account then you should disclose it. How would they know? If you are audited they can ask for copies of your accounts on the day you filed. Is HSA included in assets ? Does CSS also use DRT? If you close accounts and pay off debt with assets prior to filing FAFSA then you don’t have to claim those assets, correct? 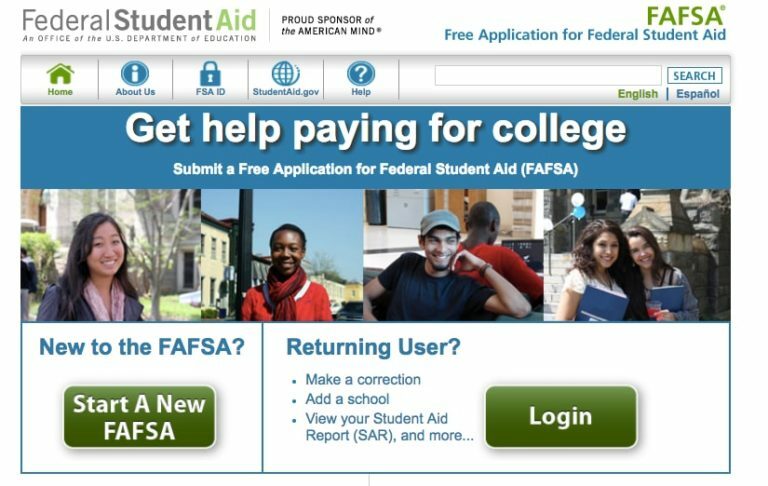 Is it recommended to file FAFSA as soon as possible after Oct 1? What if there are changes to the value of 529 accounts due to stock market changes? The account balance is of the day you file the FAFSA The 1st day you can file is October 1st. You want to make sure you file before your school’s priority deadline for FAFSA and/or CSS. Can students or parents get audited for FAFSA correctness? Yes. Approximately 30% of FAFSA’s are audited each year. You can be selected for verification, whereby you will need to verify the information you have submitted on FAFSA by providing documentation to confirm the data. To be prepared, even before you may be selected for verification, make sure you have copies of the following documents…. You can use the DRT if you wish. If you feel your numbers are not correct then you will have to deal with the school financial aid administrator to make corrections. I choose not to use the DRT because of the errors already announced by the Department of ED. My husband owns a small business. profits appear as income on our tax return, but we do not take the money — we leave it in the business. it skews our income. How do I clarify that this never leaves the business coffers? I’m not sure how to answer this. Your income is disclosed on the tax return. The FAFSA looks at income and assets. It is your choice to not take the income and leave it in the business. Talk to your accountant to see how you can show less income and put assets in a business savings account that isn’t disclosed if your business is 100% family owned. Can you show how to use all the information from Student 1 to repopulate FAFSA application for Student No 2? Complete the existing student FAFSA first. Once you have submitted you will see a link that will allow you to transfer the parents information to the 2nd FAFSA. How long should schools remain on FAFSA list if child is applying to more then 10? Does each college need to be called to confirm they its been received? Does FAFSA ask about any student loans that the student currently have? It asks if student has federal loans for determining eligibility. They don’t ask for amounts. A family friend does our taxes and prefers not to file electronically. Does this mean the IRS does not have an electronic record of our return? If you received your tax transcript the IRS has you in the system. Both my husband and I received retroactive pay from prior years, which will increase our AGI and is not a permanent increase. Is there a way to report this to make this clear? Unfortunately, No. If it makes thousands of dollars difference you can try to ask for a professional judgement appeal from the school. If my family should receive money from a Trust, will that be counted as income and must it be included on the FAFSA application? Does it show up as income on your taxes? If not, I would imagine you have placed it in some type of savings so it would count as an asset. If you have a Trust, no matter if you received money from it or not, it is counted as an asset. Is there an advantage to fill out FAFSA as soon as you can? If you will be eligible for Pell Grants or State Grants you want to file as soon as you can. In many cases those grant monies are 1st come 1st serve. What do schools do if you submit the FAFSA before your student submits their application? They just have the information and process it once your student has also submitted their admissions application. How do we know if the DRT worked correctly if we can’t see the numbers. Is there any time that I can see the actual numbers – how? You can only see the numbers if you contact a financial aid officer to have them let you see the information. I have money saved for my adult son and college age daughter. Each account has my name and a child’s name. Will this hurt the EFC? Daughter’s money I can transfer to the 529, but son’s is for a future gift/home deposit. If the account is in your name it is counted as your asset. If you have to sell stocks and realize capital gains to pay tuition, is there any special circumstance? Because it is being used for college? No. My ex husband has money from his social security that is sent to our daughter. I have full custody and paying for college. Is this considered as income? No. If it is sitting in her saving or checking account it will count as a student asset. Older PostWhy Look Beyond College Rankings?